Chronicles the cultural history of both the indigenous people and the explorers of the Andes. The Andes form the backbone of South America. Irradiating from Cuzco the symbolic ‘navel’ of the indigenous world the mountain range was home to an extraordinary theocratic empire and civilization, the Incas, who built stone temples, roads, palaces and forts. The clash between Atahualpa, the last Inca, and the illiterate conquistador Pizarro, between indigenous identity and European mercantile values, has forged Andean culture and history for the last 500 years. Jason Wilson explores the 5,000-mile chain of volcanoes, deep valleys and upland plains, revealing the Andes’ mystery, inaccessibility and power through the insights of chroniclers, scientists and modern-day novelists. His account starts at sacred Cuzco and Machu Picchu, moves along imagined Inca routes south to Lake Titicaca, La Paz, Potosí and then follows the Argentine and Chilean Andes to Patagonia. It then moves north through Chimborazo, Quito and into Colombia, along the Cauca valley up to Bogotá and then east to Caracas. 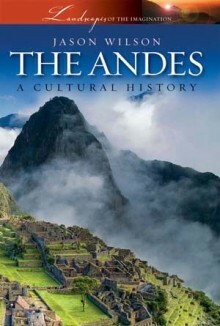 Looking at the literature inspired by the Andes as well as its turbulent history, this book brings to life the region s spectacular landscapes and the many ways in which they have been imagined. DRAMATIC SCENERY AND EVENTS: the mythic peaks of Chimborazo and Aconcagua; the ruins of Machu Picchu and the fabled mines of Potosí; plane crashes, earthquakes and high-altitude cities; guerrilla war from Tupac Amaru to Che Guevara and Sendero Luminoso. INDIGENOUS CULTURE AND RESISTANCE: the Inca empire; conquest and oppression; Quechua, Aymará and Mapundungu languages; coca, quinoa and potatoes; the political renaissance and migration to the cities. WRITERS, EXPLORERS AND MUSICIANS: the Spanish chroniclers; Humboldt and Darwin; Pablo Neruda, Vargas Llosa and Francisco Vallejo; indigenous music and urban popular culture. Jason Wilson is Professor of Latin American Literature at University College London and the author of books on Buenos Aires (Signal, new edition 2007), Borges and Pablo Neruda.